Need a recipe for a delicious muffins? 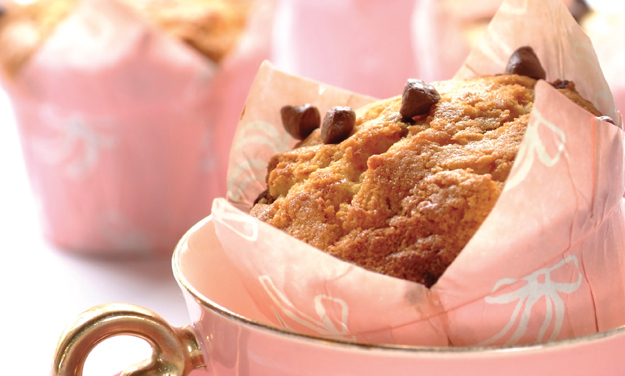 Try this quick choc chip muffins recipe for a delicious baked treat today. Stork – love to bake. Cream sugar and Stork Bake until light and fluffy or beat at medium speed with an electric mixer. Beat in egg, vanilla essence and milk. Combine the flour, baking powder and salt and mix to combine. Make sure not to over beat the mixture. Fold in the chocolate chips. Divide the mixture equally into a greased muffin tray.